Spend an evening indulging in our themed buffet that captures the authentic flavors and aromas of India. 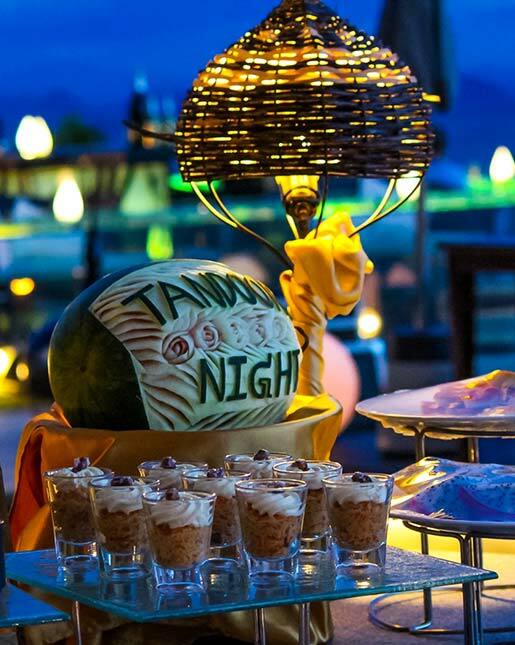 Continue your culinary journey in our resort and enjoy an enticing variety of curries, biryanis, and authentic Indian desserts at our Tandoori Night buffet. Kebabs and naan breads are cooked-to-order in our live tandoor oven by our Indian chef to capture the genuine flavours of Indian cuisine. Flavor your stay in Samui with mouth-watering combinations of Indian spices and sweets at the first authentically Indian buffet on the island.